Thanks for getting in touch! I appreciate you thinking of me when looking for a custom blade. 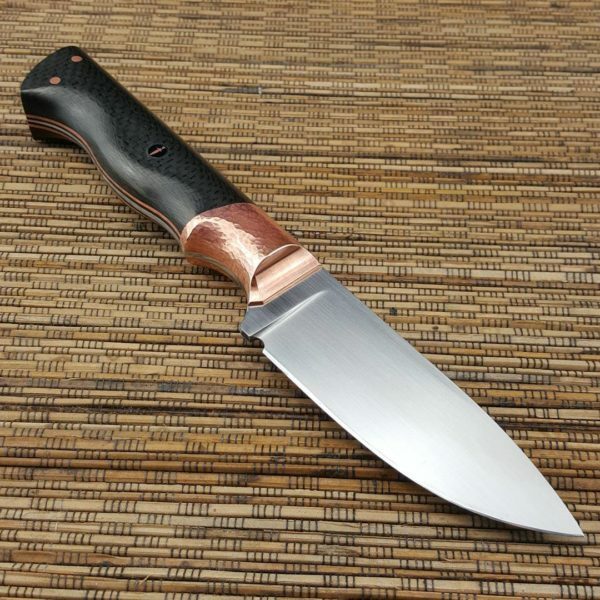 In regards to having a custom made knife designed and hand crafted for you, I am happy to talk with you about what it is you are after and we can design a high performance knife suited just to you. I am happy to do so via email or (preferably) a Skype call initially, so I can get to know you, what you are after and get a better idea of what will suit your specific needs. To expedite the process I have written out my current prices and other information for you below. I should let you know my lead time is 8-12 months at the moment due to the number of custom orders I have in front of me. All prices include the premium steel heat treatment, geometry and fit and finish associated with a Tristone Blades. A complimentary carry case is also provided. 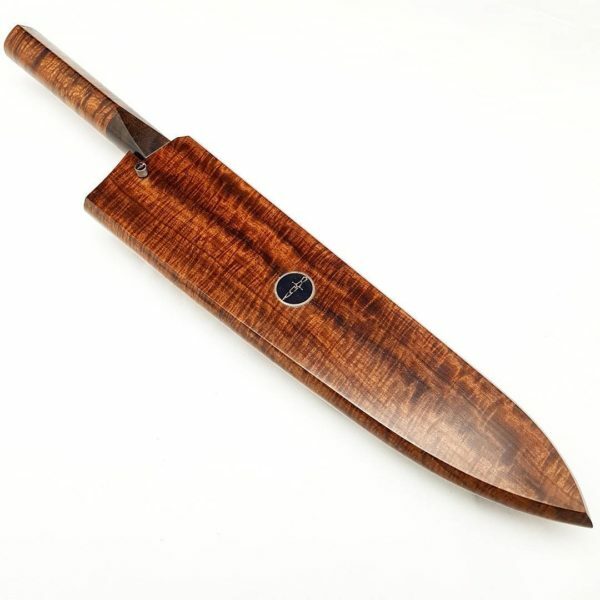 NOTE: Whilst these prices below are indicative for a complete knife, certain handle products such as Mammoth Tooth/Ivory, Walrus ivory, certain rare and exotic woods and complex and ornate handles are priced on a case by case basis. If you have any questions please get in touch and I am sure we can work something out. Patterned forge welded steel, combines premium steels wrought with beautiful patterns for the ultimate in aesthetics and function. 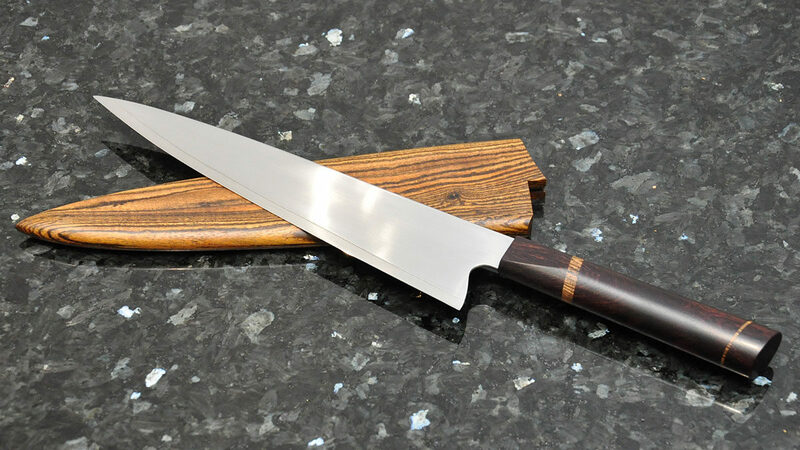 Making of a custom Saya is an option available for all kitchen knives. Depending on the wood used in the custom knife handle there is scope to create a beautiful matching wooden sheath to accompany your knife. 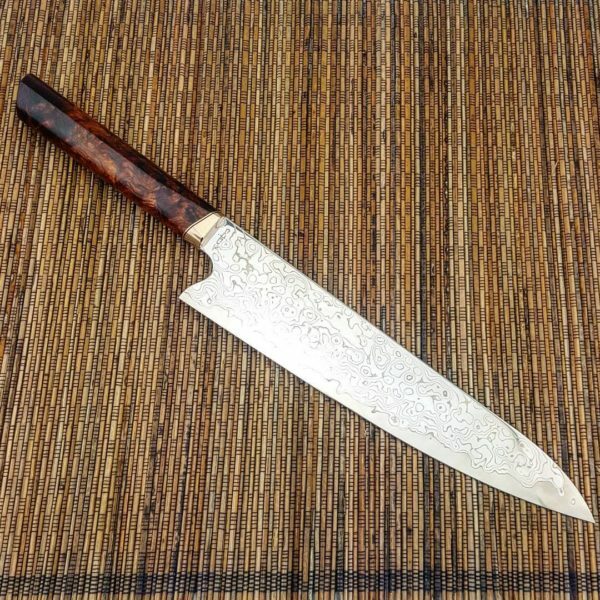 The standard pricing for a Saya is $440 USD plus the value of the wood used. To go on my custom orders list a 10% deposit is required. (Paypal preferred.) 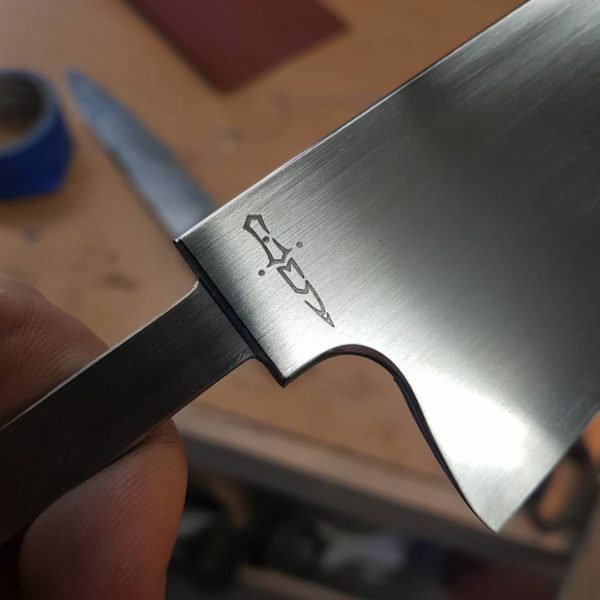 The remaining balance is not required until the knife is complete and ready to ship. Once the deposit is paid a blue print will be drawn to scale of your custom made knife which will be sent to you for appraisal. Any adjustments will be made from there, until the knife design is finalised and the build can commence. You will be notified throughout the build of the various stages and sent photographs of the progression made, so you can enjoy the journey with me. To start your design process, email me directly to arrange a Skype call, and I will be able to give you an accurate price for your knife. Thanks, and I look forward to getting started!